Contributing code to ACCRE’s Github page is a great way to foster collaboration in HPC research at Vanderbilt. Below are instructions for how to go about contributing code to any of ACCRE’s Github repositories . Before getting started, you will need to create your own Github account (if you don’t have one already). While you’re at it, follow ACCRE’s Github account so you can see when new content has been added. 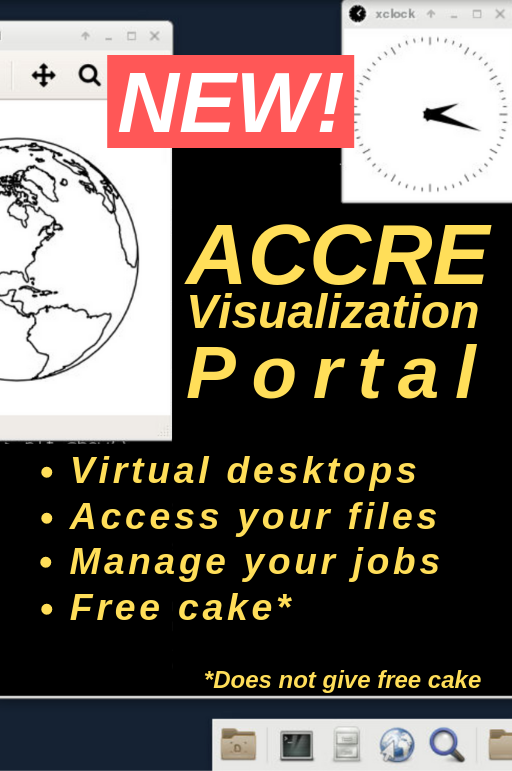 Also feel free to star any ACCRE repositories you find to be especially helpful! [bob@vmps13 ~]$ git config --global --add user.name "bob"
[bob@vmps13 ~]$ git config --global --add user.email "bob@vanderbilt.edu"
This information will be stored in a file in your home directory (~/.gitconfig). Now your Github account will be listed as a contributor if you contribute code to an ACCRE git repository! 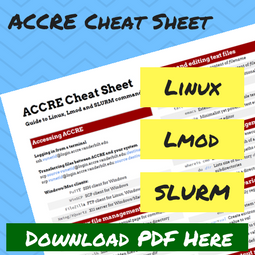 The next step is to download a copy of the appropriate ACCRE repository to your own Github account. This is called forking a repository. As an example, let’s say you want to contribute a Python script to ACCRE’s Python repository. To do this, first make sure you are signed into your Github account, then navigate to the Python repository at ACCRE’s Github page. Note that on ACCRE’s homepage you will not see all repositories. You must click Repositories at the top of the page to get a full list. At the top right of the page you will see a Fork button; simply click this button, and the repository will be forked to your Github profile. Navigate to your Github profile to convince yourself that you’ve successfully forked the repository. Notice that user bob now has a new directory called Python , which is his local copy of the repository that he can edit without affecting the remote version of the repository stored at ACCRE’s Github page. Now you are ready to make changes to the repository. We suggest creating a new subdirectory in the top-level directory of the repository, with the name of the subdirectory indicating the type of code/example you are contributing. For example, if user bob has an example of doing clustering analysis within Python, he might name the subdirectory clustering. In general, user bob would then add files (Python script(s), SLURM script(s), any other subdirectories or miscellaneous files) inside of this subdirectory. You may also choose to create a README file in the new directory you’ve created, which will be displayed in Github when a user clicks on the example. We ask that you limit the total size of each example to < 100 MB. [bob@vmps13 Python]$ git commit -m "Adding clustering example"
Three important git commands are used here. git status gives you details about files that have and have not been committed to your local repository, git add -A will add files and any edits you’ve made to the local repository, and git commit will actually apply these changes to your local repository to make them permanent (the -m option allows you to add a message to your commit, which should be a brief description of the changes you’ve made to the repository). Writing objects: 100% (4/4), 454 bytes | 0 bytes/s, done. Note that you will be prompted for your username and password. This is your Github username and password, NOT your ACCRE username and password. After you have completed this last step, you should now see these changes reflected when you view your fork (but not ACCRE’s version of the repository) of the repository in Github. From Github, navigate to your fork of the repository, and click on Pull Request. You will be taken to a few screens where you can leave comments about the code you are contributing. Feel free to leave comments and confirm the pull request until it’s clear that it has been submitted to the ACCRE admins for review. 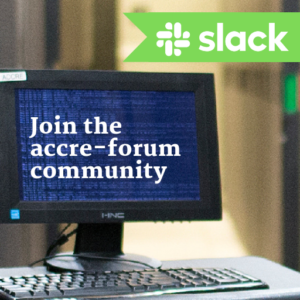 At this point, ACCRE admins will review the code you have contributed and have the option to accept or reject the changes. If all looks well, we will accept the changes and they will be included in the repository for other users to see and/or borrow! Open a helpdesk ticket. We’re happy to help!